Ulysses Anson Young is the 3rd great-grandfather of actor Robert Redford. 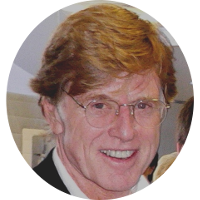 A number of years ago, professional genealogist Gary Boyd Roberts published a pedigree for Robert Redford that gave him New England ancestry that included at least three Mayflower passengers and a couple of dozen famous people. These connections were said to be through Robert Redford's ancestor Ulysses Anson Young. However this claim was incorrect as Ulysses Anson Young was confused with Ulysses Selden Young. Although similar in name, but not exact, both men were definitely two different people. Ulysses Anson Young did not lead back to New England ancestry as did Ulysses Selden Young. Unfortunately all claims to Mayflower ancestry for Robert Redford through Ulysses Anson Young need to be considered as false.